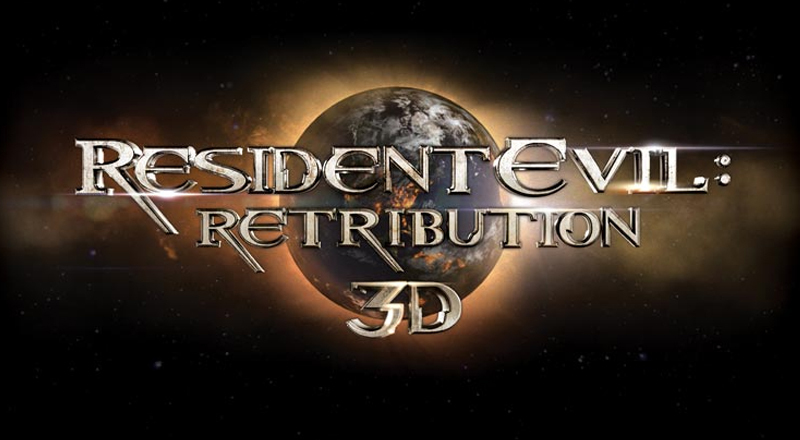 Fans of the "Resident Evil" sci-fi film series, starring Milla Jovovich, can now enjoy a first look at the fifth installment, "Resident Evil: Retribution," as the first teaser-trailer has been released. The 3D movie sees Jovovich's character, Alice, as a captive of the main operation facility of the evil Umbrella Corporation. She later joins forces with resistance fighters and travel around the world to take down the group and those responsible for unleashing a deadly virus that has transformed humans into zombie-like beings. The trailer, which was recently released online, begins as a commercial for Sony electronics, complete with the opening of The Who's hit rock anthem "Baba O'Riley" and a voiceover by Patrick Stewart, who played Captrain Jean-Luc Picard in "Star Trek: The Next Generation," Prof. Charles Xavier in several "X-Men" films and narrates commercials for National Car Rental. It's not much, but it's just one of the few things Sony has up its sleeve in what they consider to be their "biggest campaign ever". In Early January Sony's UK marketing manager Mark Bowles indicated that "the PS Vita launch will be supported by the biggest campaign we've ever executed," promising that "this level of activity will continue throughout 2012." That means we can probably expect some more PS Vita product placement in other movie trailers. Bowles confirmed that the Vita's launch will be supported by a "heavyweight TV, press, outdoor and retail presence". With the Vita only about a month away from its launch in the United States and Europe, we should expect the advertising and product placement to ramp up in the coming days and weeks leading up to release. The Vita isn't the only Sony product to make an appearance as the entire opening sequence of the trailer is littered with Sony products like the Vita, Tablet S and Sony smartphone. The Resident Evil movie franchise has already lost any credibility it might have once had with fans of the game, so this type of product placement shouldn't really upset anyone. Given the overall premise of the movie I have to wonder, was this really a smart move by Sony? I mean, are they saying that Sony and its large line of consumer electronics will be the end of society and lead to an all-out zombie apocalypse? "My name is Alice and this is my world,"
Jovovich's character then says amid a backdrop of total chaos, with warships circling what appears to be the White House in a post-apocalyptic universe. Michelle Rodriguez and Jason Isaacs reprise their role as Rain Ocampo, a member of an Umbrella commando unit, and Dr. William Birkin, a former Umbrella biologist. They last played their parts in the first Resident Evil" film in 2002. Kevin Durand plays Barry Burton, a character from the "Resident Evil" video games that has not yet appeared in the film series. The "Resident Evil" film franchise has made more than $675 million worldwide, which each movie making more than the one before. The fourth installment "Resident Evil: Afterlife," was released in September 2010 and has since then made $296 million worldwide - almost three times as much as the first movie. The box office profits for the films are considerably larger outside of the United States. Jovovich, a 36-year-old actress and model from Ukraine, is also known for her role in the sci-fi film "The Fifth Element." Her last film, a remake of "The Three Musketeers," was a box office flop in the United States, making a little more than $20 million, but fared well overseas with $111 million in earnings. Jovovich lashed out at its U.S. distributor, Summit Entertainment, on Twitter, saying that it "swept" the film "under the rug" in the United States and did not promote it as much as its hit "Twilight" movies.